The weather in Toronto is slowly and yet all too suddenly becoming colder and colder. This generally means we’re starting to face new obstacles when it comes to our skin – like dry patches, scaly legs, looking dull, etc. One of my self-love practices is taking care of my body. That is why I have these cold winter essentials to ensure I don’t experiences these cold weather misfortunes. As there are a few, here is my Part I where I focus on body care products. Enjoy! 🙂 The best part is I can get you 20% off these products, plus a FREE gift and REWARDS, just ask me how! 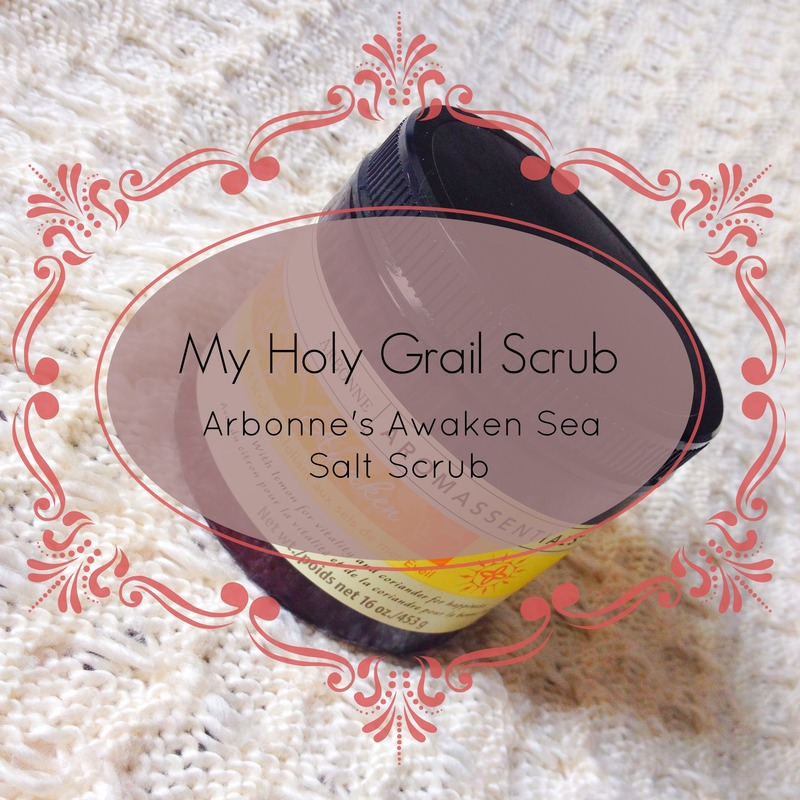 Talk about my HOLY GRAIL scrub – I reviewed it a while back. Here it is if you’re interested. This sea salt scrub is full of beautiful smelling essential oils that hydrate your skin instantly ensuring that it is left looking supple, luminescent and beautiful. The sea salt works to scrub away all the dry patches and heals and repairs at the same time, revealing brighter healthier looking skin! 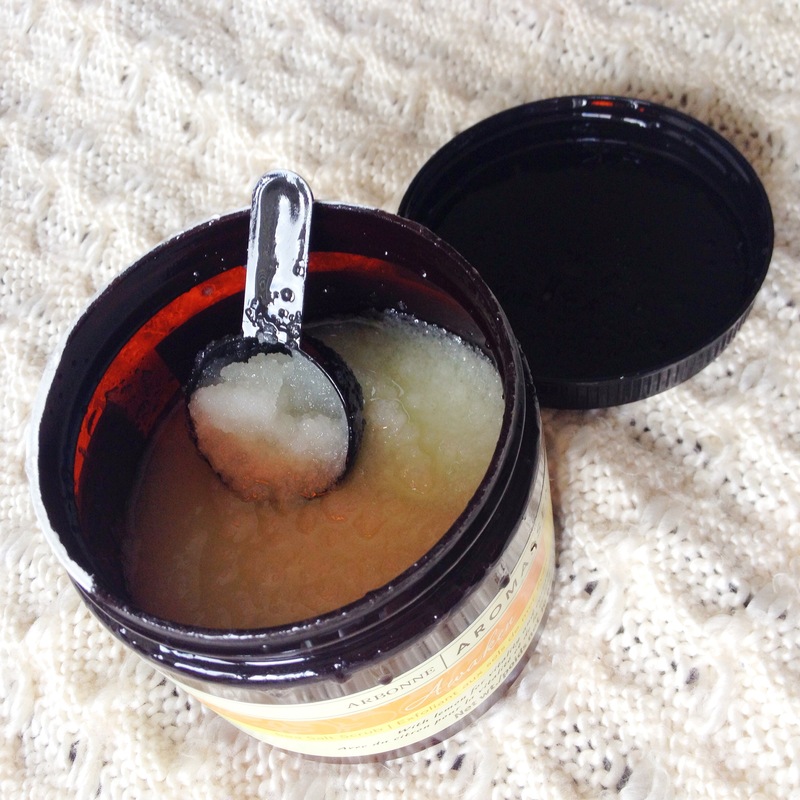 Before I found this scrub my legs were always so painfully dry and scaly – now I don’t have that problem. 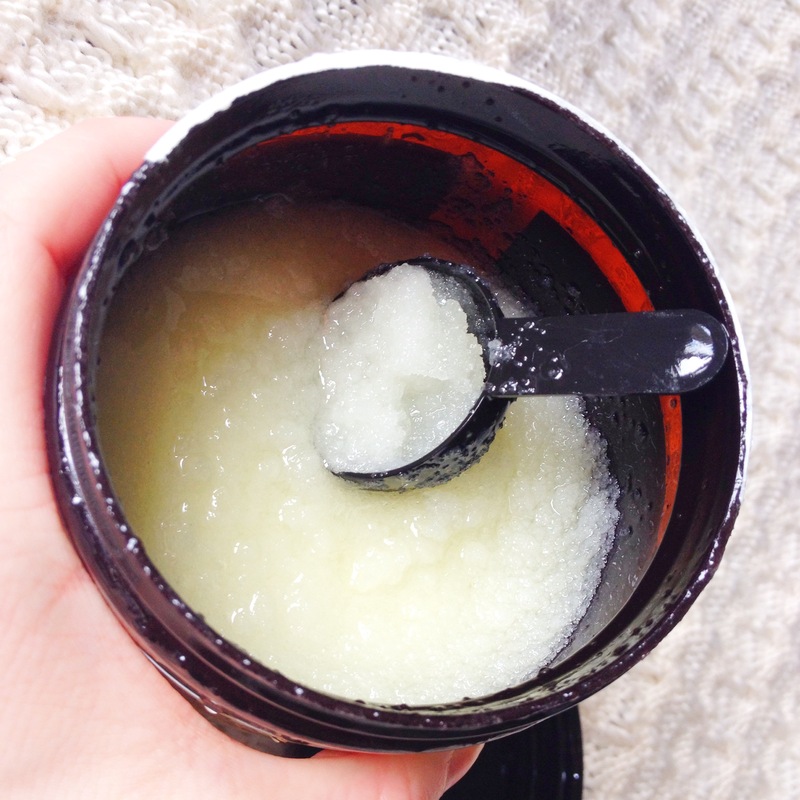 That is why this beautiful scrub has made it onto my cold weather essentials. I use it 3-4 times a week depending on how often I want to pamper myself. Finding a moisturizer that I love has always been a hard task for me. Either it doesn’t actually hydrate and it just masks the problem or it is too oily and greasy. 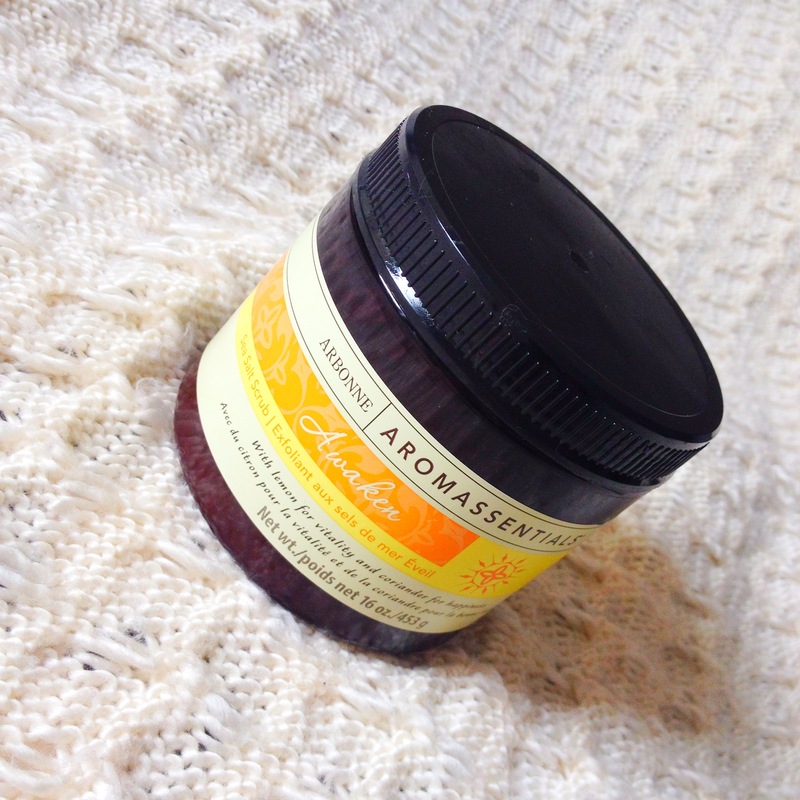 When I first tried this moisturizer I was BLOWN AWAY! I love it. 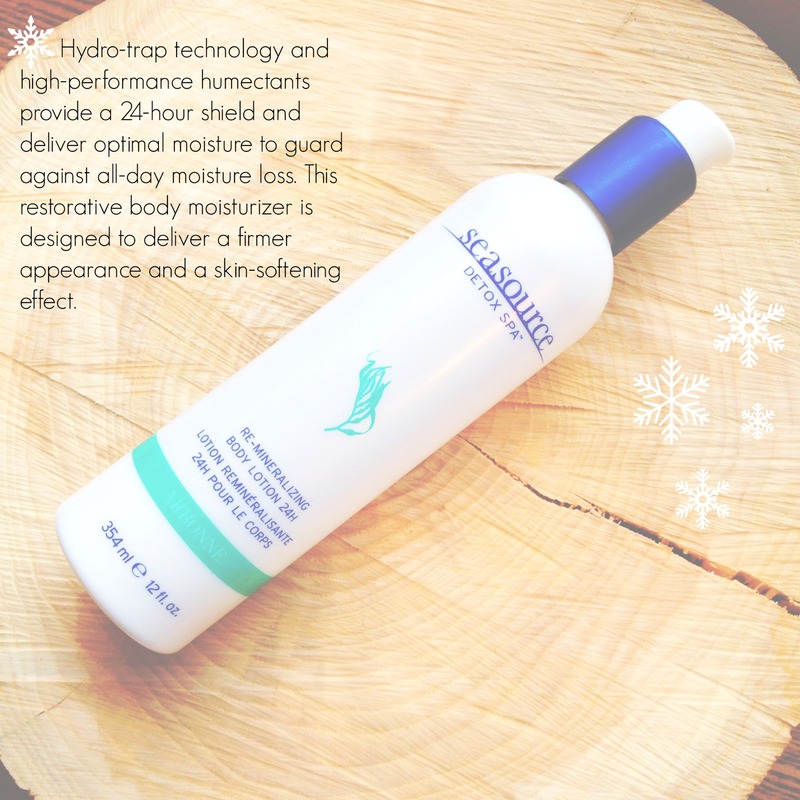 It has a hydro-trap technology that helps to hydrate and hold its moisture so you’re not losing it throughout the day. It also helps to give your skin a firmer appearance and it soften your skin. Also because its sea salt based it repairs and heals! I happily use it everyday! The smell is INSANELY YUMMY. When I put it on to pamper my hands or feet I can’t help but breath in that authentic candy-cane smell. I just want to eat my hands! And the best part in it is not artificial fragrance that has tons of chemicals, it is all safe smells that come from real ingredients! Everyone asks what it is every time I wear it – it is the perfect smell to get into the holiday spirit. 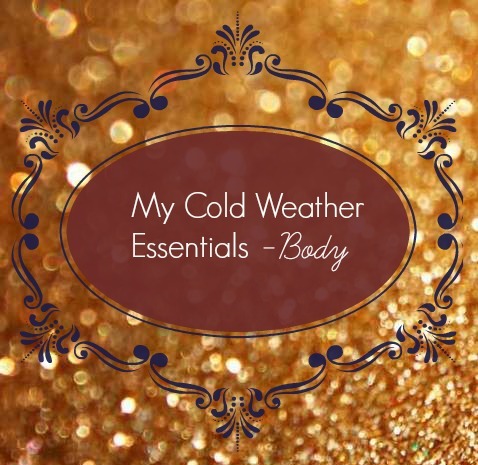 So there are three of my ALL TIME FAVOURITE cold weather essentials for the body, keep your eyes open for the next one which will be face related! Also one of these goodies could be in a giveaway I’m planning to do soon – so eyes open for that as well! 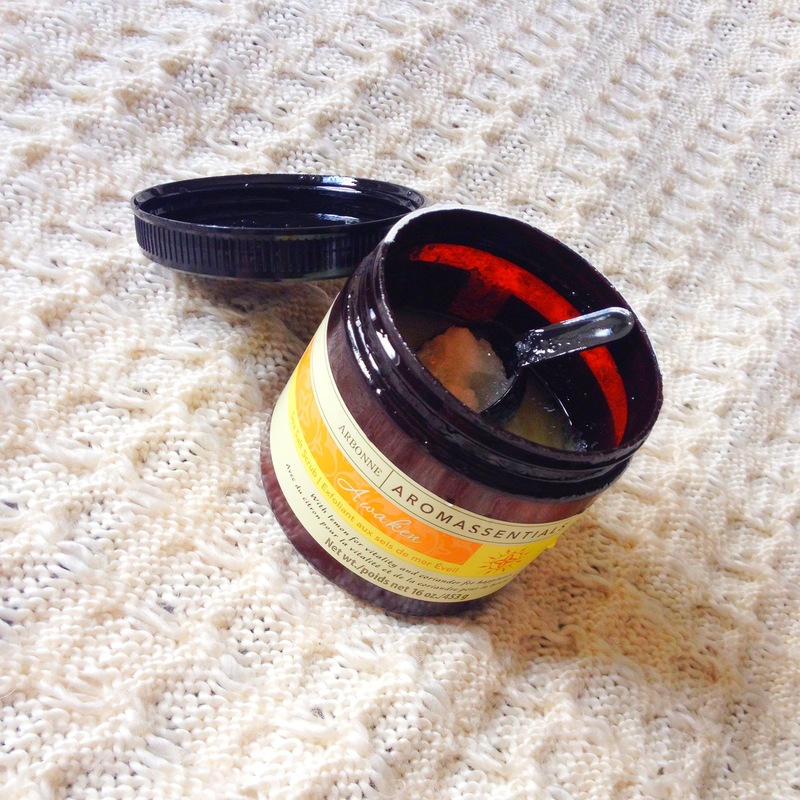 What are some of your favourite cold weather essentials? Have you tried any of these must haves? This bad boy consists of sea salt and essential oils! When my scrub first arrived I was surprised at the size! I thought it would be so much smaller — but it is a great size. 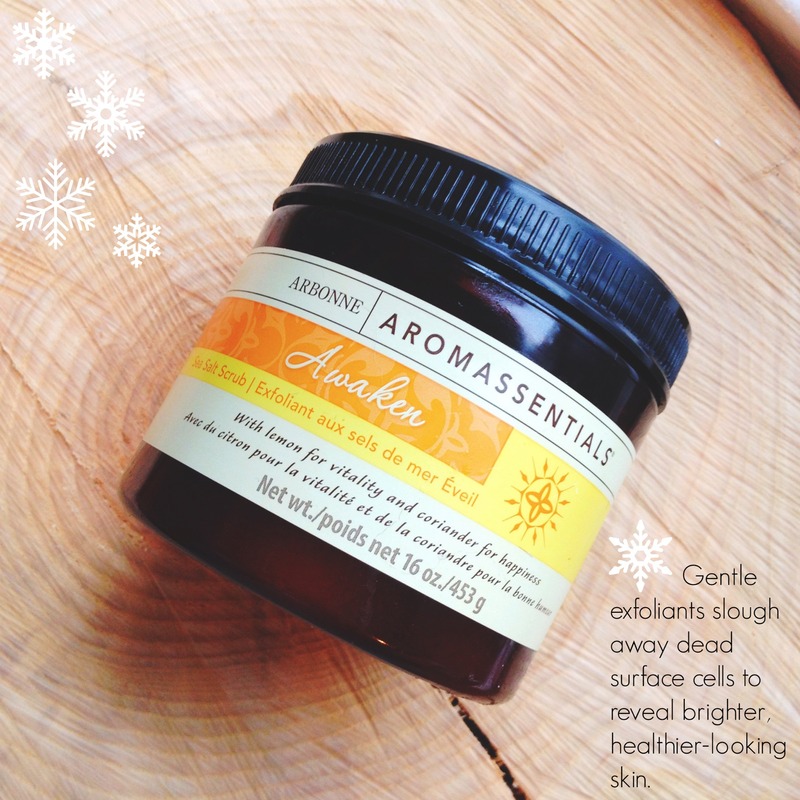 Pretty standard packaging but the label screams aroma therapy to me — which is great because its part of their Aromassentials Line. Well considering I already told you its my holy grail and it rules all other scrubs I think its safe to say you know its outstanding — which it is! It INSTANTLY transforms your skin from that scaly, dull, dry canvas to beautiful, radiant, smooth and silky. I for sure thought I would need at least two visits to the shower with this bad boy to get some results — NOPE. It also comes with a little scooper to stir and scoop… it separates so stirring is a must. The sea salt feels amazing and you instantly feel those essential oils working their way into your skin to do their job. The smell… well its very aroma therapy. It has lemon and coriander and I can smell some lemon but its not overpowering and I have no idea what coriander even smells like so, couldn’t tell you if it smells of it! The smell does have a presence, but if you have a sensitive sniffer like me — don’t be afraid, you get used to it. It also dies down after a while. In the catalogue it says it is for all skin types except sensitive — however I claim to have sensitive skin and it didn’t bug my skin one bit! Upside of Arbonne? There is a 45 day return policy if you don’t like a product, so try it and if its not for you, send’er back! Also the smell might be much for some. Also the oil does get onto the package so just be mindful of where you put it down and be sure to wipe it off after use. YES ABSOLUTELY. All of their products are vegan and botanically based and their mantra is Pure, Safe and Beneficial — aka its safe for you! Have you tried anything from Arbonne before? Or are you just curious to hear more? Have you commented yet this month? 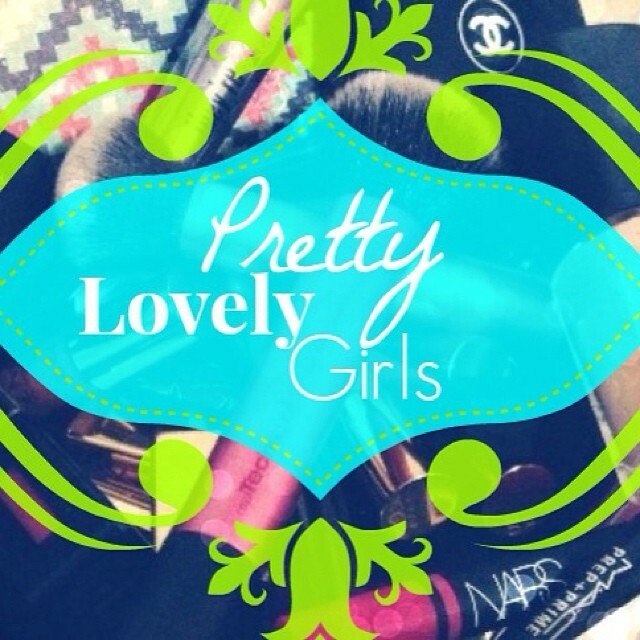 We want to encourage interaction on Pretty Lovely Girls so we've started a monthly giveaway. Click on the image to find out more and read the rules! We are not make-up or beauty professionals nor do we have degrees or certificates in psychology. We just have deep passions for both make-up/beauty and helping other achieve a positive level of self-love.